Welcome to my Enrich Your Life page! 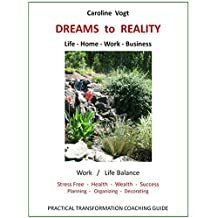 Life is getting easier and improved when we get our home, life work and business organized as well as having a plan for living a fulfilled, healthy, creative and balanced lifestyle. 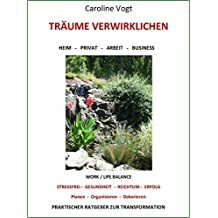 My books "Dreams to Reality" in English and "Traeume verwirklichen" in German are easy to follow guides, which are written and designed to help achieve new dreams in your personal and family life at home and at work . For your personal and professional successes,I teach "dreams to reality" classes. "Dreams To Reality Retreats" are available for individuals and small groups, just contact us for more information. My cook book "Recipes From Around The World" is a collection of international homemade recipes to cook for your families and friends. My two "Gift Basket Design For All Occasions" books, have hundreds of ideas and designs I've created over the years including easy hints to inspire your own gift and gift basket crafting. Check out my partnership blog here! newsletter about tips & ideas for your home, family, and healthy living please fill out your name and e-mail below. Content copyright . ENRICHYOURLIFE.NET. All rights reserved.